Behind the shop, small factory & stores were built to manufacture home made boiled sweets. 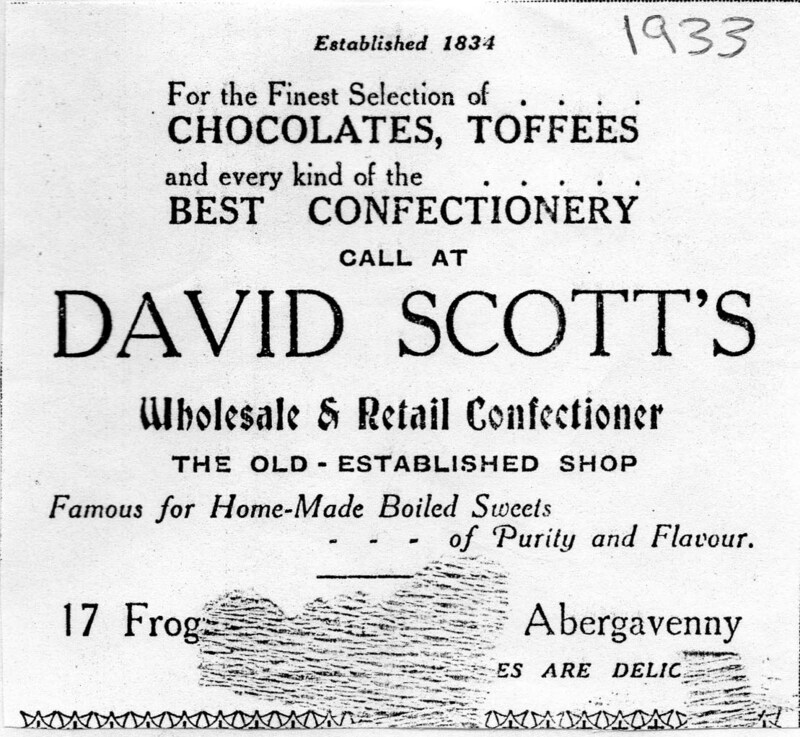 On new Year’s Day sweets were given to the the children of Abergavenny. vacated in April 2016 by Winter Sport, sports wear shop. 1989: JFA Office Requirements, office services. 1980: Tool Centre, advert. 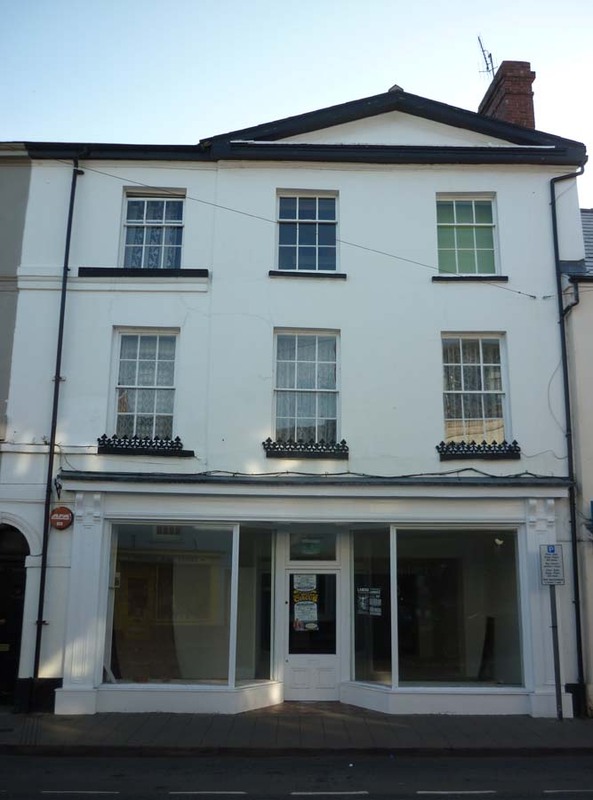 states Hire Dept at no 36 – but this seems to have been a charity shop? 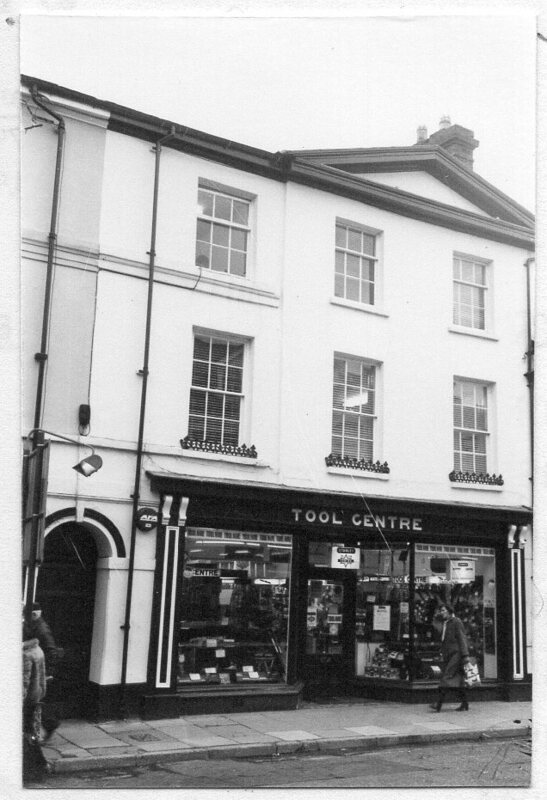 1979: F J Nuttall, Tool shop with offices above. 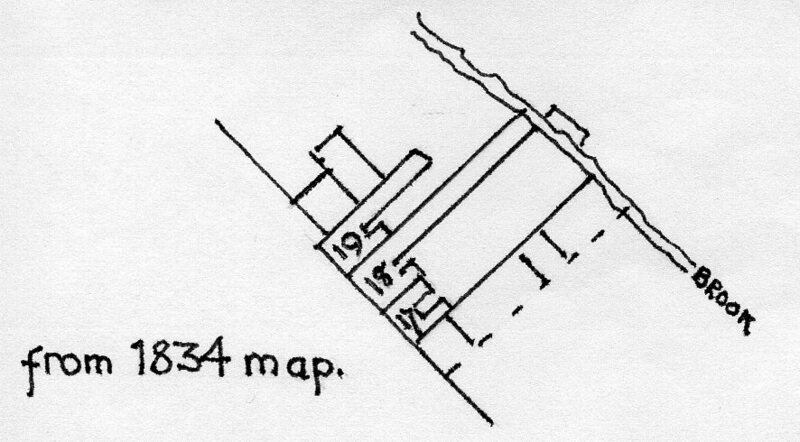 Before the semi-detached houses were built in 1857, this must have been a short row or court of cottages. In 1851, these were occupied by: William Burris, nailer; William Duffield, nailer; William Evans, tailor; Henry Morgan, carpenter; Walter morgan, mason & grocer; one uninhabited; James Hanratty, hawker; Richard Kyrwood, butcher; Thomas Hesketh, master ropemaker, employing 2 boys; Elizabeth Harris, milliner.